1972. Unpaginated. 44x Arsenal Football Club Match Day Programme`s. Light tanning to text pages with light tanning and foxing to endpapers and text edges. Creases to pages.Small bumps to corners. Creases to card covers. Some rubbing to the board edges and wear to the spine ends. One or two marks to front and rear boards. Small bumps to corners. Coupon clipped to rear cover. 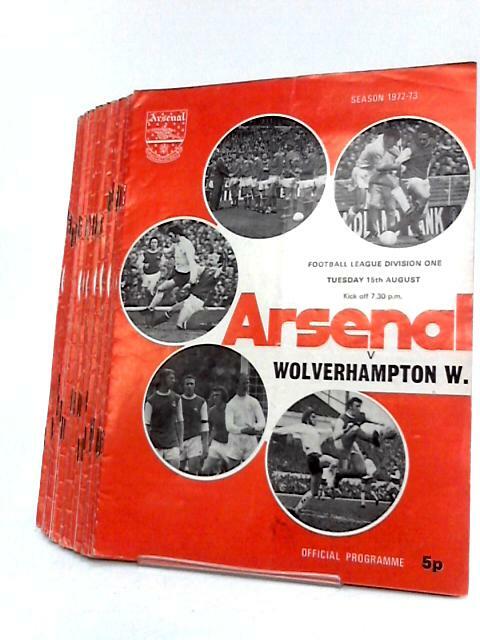 Arsenal Football Club Match Day Programme`s 1972 to 1973.